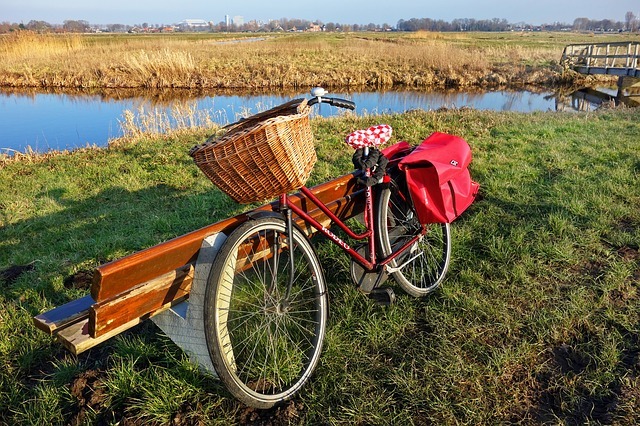 Cycling is one of the best ways to keep fit and allows you to explore your surroundings in a much more natural manner than being stuck on a treadmill at a gym. This is the perfect time to get on a bike – you can get great deals with Halfords money off vouchers. A study conducted by the YMCA indicated that people who have an active lifestyle had a wellbeing score 32 points higher than those who lead sedentary, inactive lives. Exercise boosts your sense of wellbeing both physiologically, through the release of serotonin and endorphins, and through the sense of achievement on attaining goals. The UK is undergoing an obesity crisis, where it carries the dubious distinction of being the most overweight country in Western Europe. Being overweight can cause many serious health issues, including diabetes and heart conditions. Cycling’s a great way to burn up those excess calories and lose weight. What’s more, all that exercise will convert your flab into lean muscle, especially around your glutes, hamstrings, quads, and calves. Moreover,people with a higher percentage of muscle burn more calories even when inactive, so its an ongoing process. With your new leaner body, you should look great in spandex! Cycling also contributes to having a healthier heart, as research conducted by the University of Glasgow last year indicated. Researchers studied over 260,000 individuals over the course of five years – and found that cycling to work can cut a rider’s risk of developing heart disease or cancer in half. No wonder cycling is so highly recommended by the NHS in combatting heart disease. Cycling to work can also save you money, and give you more time in the morning, cutting back on stress, and perhaps even allowing the luxury of indulging in a full breakfast, which is also highly recommended to set you up for the day. The idea of cycling through rush hour traffic might not sound good for your lungs, but research conducted by The Healthy Air Campaign, Kings College London and Camden Council indicated that a cyclist cutting through central London absorbed less air pollution than a car driver, pedestrian or bus passenger! A healthy mind in a healthy body has been a tenet of health since Roman times, and cycling is the perfect way to achieve this. Exercise has been repeatedly linked to brain health and can help prevent Alzheimer’s. Studies have shown that cycling boosts blood supply to the brain by at least 28 per cent, even up to 70 per cent in some areas. This increased blood flow can remain up to 40 per cent even after exercise – so cycling won’t just improve your body, it will also improve your mind. The best thing I love about cycling is that it is environment-friendly, as well as it makes you fit.